The facets are the bony articulations connecting the vertebrae. These joints provide structural alignment but also provide for motion in the spine. Because of their role in motion, facet problems are most likely to occur in the spinal segments allowing the greatest motion, namely the cervical spine and lumbar spine. Facet Arthropathy can be caused by many things. 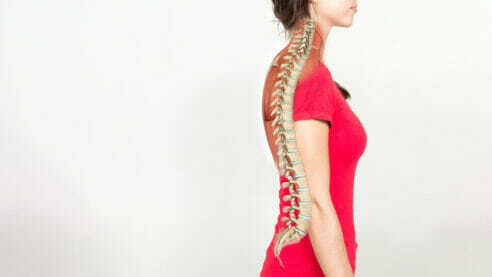 Injury or trauma to the spine can damage the vertebrae or the supporting ligaments. Misalignment of the joints, degenerative changes, and disease such as osteoarthritis may also cause facet pathology. Symptoms of facet arthropathy may include pain or restriction of movement. Often, facet dysfunction mimics symptoms of disc herniation, especially as inflammation causes pressure on adjacent spinal nerves. In such cases radiating pain, numbness, and tingling may be present. Facet problems can resemble other more serious conditions, so a thorough examination by your physician is important. Diagnosis of facet arthropathy includes a review of your health history, a physical examination, and possible imaging, such as x-rays or MRI. Treatment for facet dysfunction often includes physical therapy to restore motion and improve posture. Pain medication or injections may also be part of a treatment program as well as the application of heat and cold. In some cases, chiropractic manipulation is beneficial. In severe cases, surgical intervention may be considered. Our overview of the components of the spine can help you understand some of the spine problems resulting from injury or aging.